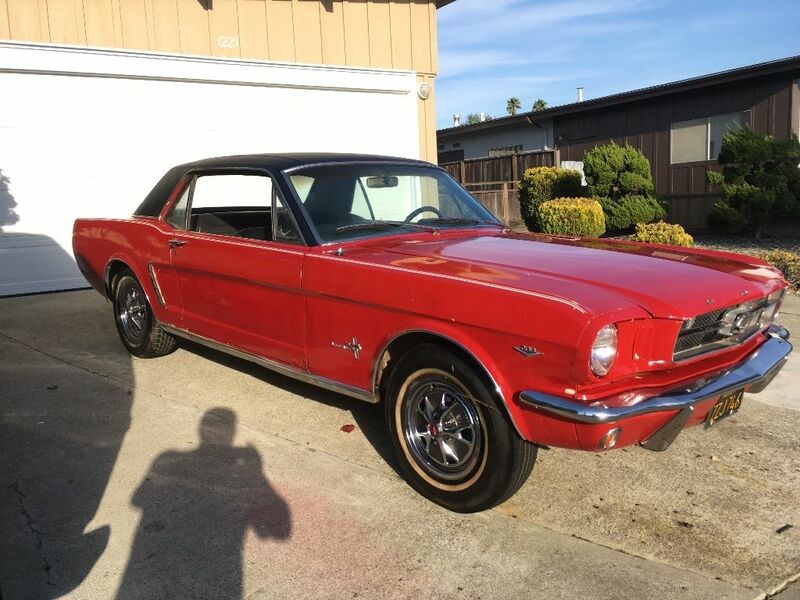 The original Mustang was released in 1964 as a 1965 model and gobbled up by an adoring public. For years the original coupes were great starter cars for kids looking for something cheap to drive as their first high school ride -- but prices have shot up so you've got to dig around for a rusted pile of...hang on...what's this? 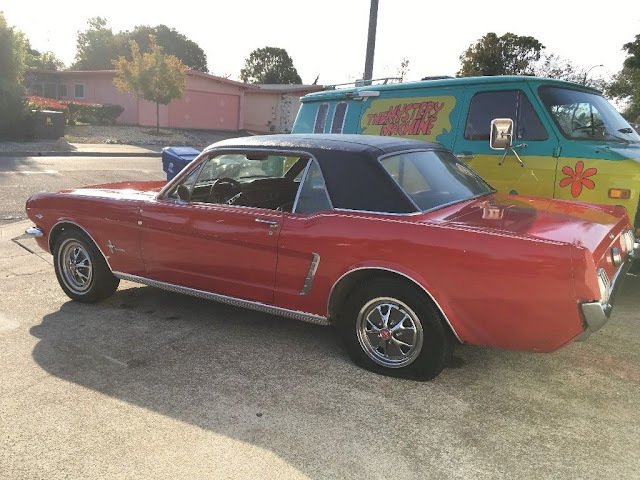 Find this 1965 Ford Mustang Coupe here on eBay bidding for $3,550 reserve-not-met with a buy-it-now of $7,777 located in Alameda, CA. I am always skeptical about deals that look too good to be true, but the seller in this auction has been an ebay member since 2012 and has sold at least one other V8 powered classic Mustang for dirt cheap asking price, so perhaps this is just a good deal. 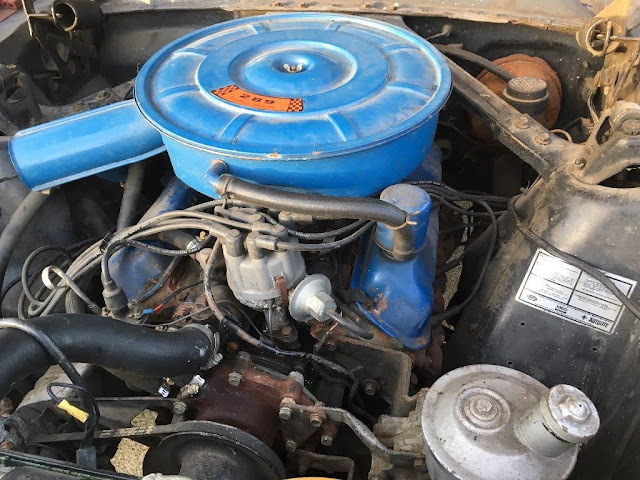 Under the hood of this pony is an A-code V8, which means that it has a 289 cubic inch 4bbl pushrod V8 that puts out 210 horsepower and 300 ft-lbs of torque. The 289 is a dead simple engine to work on and will run for miles with simple maintenance and responds well to modifications if you want to go faster. 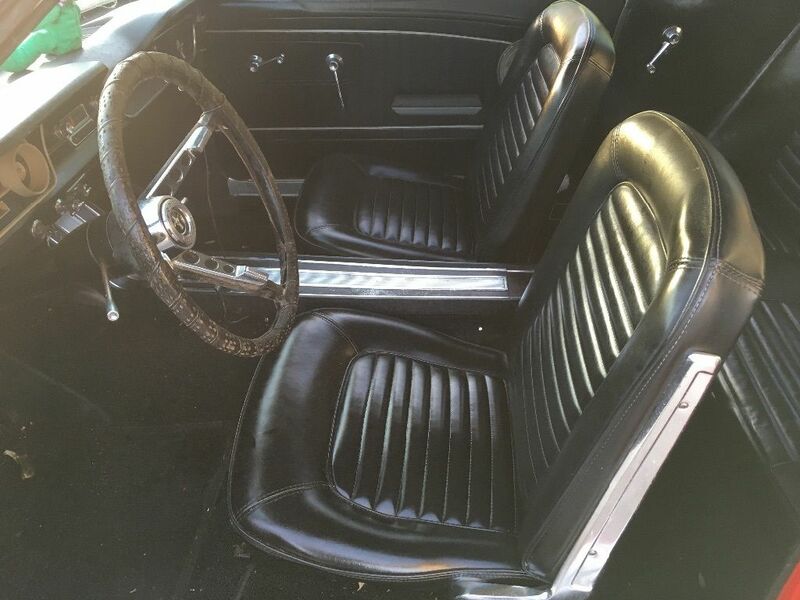 The interior looks in great shape for the asking price and I still can't figure out why this car seems priced low to me...oh wait...the tire is low on air. Now I get it. Nice looking Mustang. Gotta love The Mystery Machine in the background too! Those wheel covers that mimic the styled steel wheels are pretty rare. Filling up that left rear tire would have gone a long way towards making this car look a little more loved. Someone pulled the trigger on the BIN. Probably very happy to find a clean, nicely equipped Mustang for that kind of money. I hope it was a keeper and not a flipper. Have you driven an old Ford lately steering was never tight when new !